For the first time, I don’t know how I feel about a product. It’s not good for what it’s meant to be good for … but it’s got it’s own thing going on. So should I like it?! The Real Techniques brushes are widely acclaimed and I’m a huge fan of the Real Techniques Expert Face brush for buffing in liquid foundation. Recently, I switched to mineral foundation as liquid was just too heavy for summer. 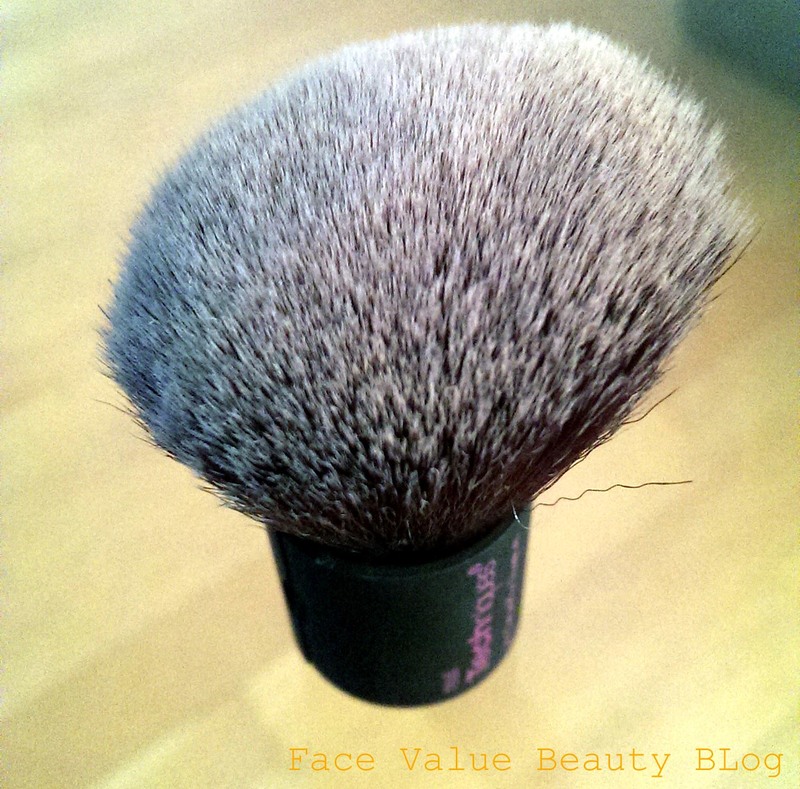 Mineral foundation works best with a kabuki brush … so I bought this Kabuki brush! My consumer needs are simple ones but did it meet my expectations? The bristles are sooo soft – made of synthetic taklon, they are an absolute dream on my skin. I could literally sit and just pat my face with it whilst “oooooh”ing happily. Cooing and ooohing aside, here’s the magic part…..it splits into two to make another type of brush! When closed, the brush is a full bodied kabuki, ideal for sweeping powder onto skin and all over the face. Magic! I love the idea of two brushes in one and it’s done in a way which makes both brushes usable. Not like those brushes which are like heyy, open this and now I’m a pen but you still can’t use me cos we all type shiz on our phones now anyway. It’s not as full bodied as I’d like. Is it a real Kabuki? The bristles are so loosely packed, it reminds me of a full powder brush just cut into a kabuki shape. For me, Kabukis should be densely packed and firm. This Real Techniques Kabuki brush is neither. Yes, the bristles are soft and feel nice but they’re not much use for buffing unless I gather them in my hand. This multi-functional brush is ideal to pop in your handbag but for me, it’s not really a kabuki and not suitable for mineral foundation unless you want a really really sheer cover. The bristles are lovely though. I can see myself using this for blending all across the face and for applying finishing powder. Oh, and stroking my face. 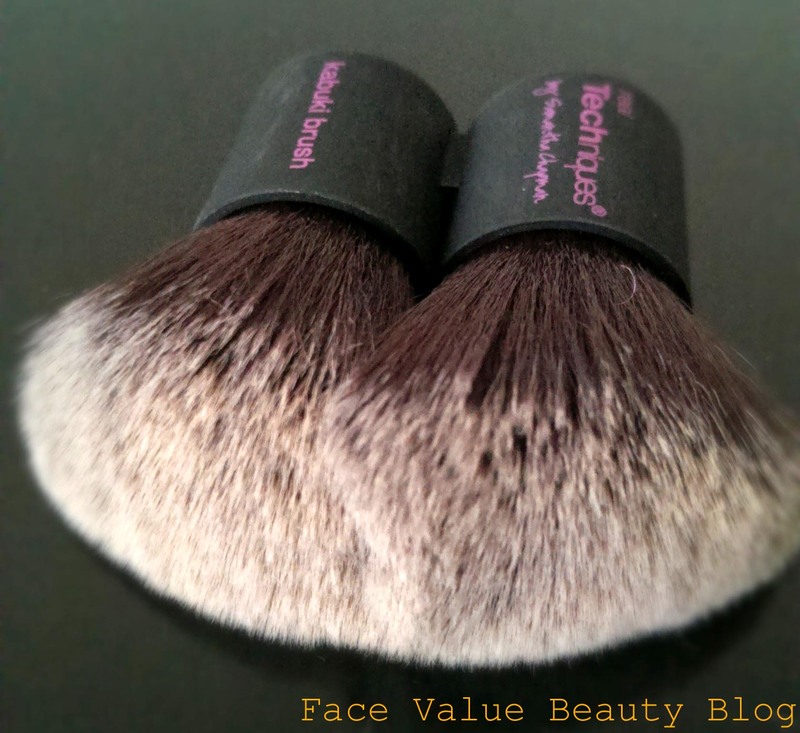 What’s a real kabuki brush to you? 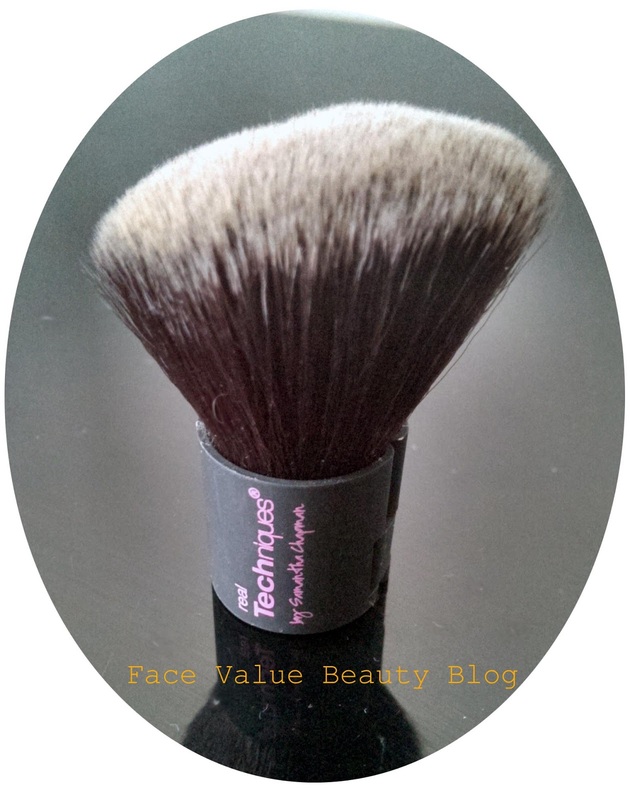 Have you tried this brush for mineral foundation? Which Real Techniques brushes do you use? How many brushes do you carry around in your handbag? Next Post Are you ready for BareMinerals Ready SPF20 foundation? It is good for travels and to take with me to during the day. Ok, so this is not a true kabuki brush since the hair is very soft and too flexible. So if you got it for the sake of using it with your foundations, this tool will not work. I use it for my powders since it is very soft and fluffy and does not apply too much product.